Soooo, I had a bunch of stuff on my mental agenda today that we were going to finish up before Christmas. But, we ended up cleaning our playroom instead. My intention had been to quickly clean and then try and accomplish some schoolwork before lunch. I can't tell you how often this happens. 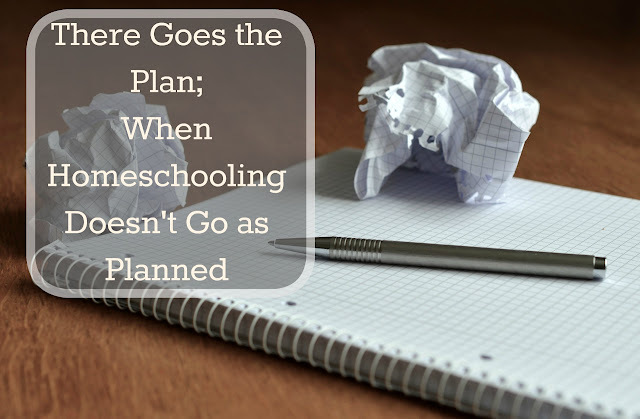 In fact it seems like our homeschooling days rarely go as planned. One thing homeschooling has taught me is the importance of remaining flexible. I have learned to stress less about the schoolwork and look for learning where it occurred. It took us 3 hours of work, and all 4 sets of hands but it's done and it looks so nice. Every year around this time we go through and sort toys, move furniture, and clean out those toys no one plays with (their definition of not playing with and mine are not the same so it's always a battle). We had tons of negotiations going on today and ultimately they all agreed to get rid of 4 garbage bags of toy parts, broken pieces and other assorted "junk," and two boxes of toys that could be reused by another child. In cleaning, my boys know that we have tons of children around for the holidays and some of them are quite young, so they also brought toys with little pieces up into their rooms to keep safe until after the holidays. They're also allowed to put one or two "special" toys in their rooms if they aren't going to be able to share them without getting upset. Those that are left in the playroom now are fair game and will be used a lot I'm sure. We stopped to have lunch and then we headed to our local library to see the movie The Polar Express. While waiting for the movie to start Alec read a book to Evan since I told Evan I really didn't want to check out any more books until we had returned some. We made it home in record time and Ian and I started baking. The younger two boys contented themselves doing puzzles. Evan was so proud he was able to put an entire jigsaw puzzle together by himself. Ian ended up doing quite a bit of math while baking. I asked him how many cookies could fit on a sheet if we did 3 rows of 4. On the next sheet he told me he could fit 5 rows of cookies so I asked how many that would be instead. He had to measure, use fractions, and sometimes even add fractions. All in all it ended up being a great day with a lot of self- guided learning. My favorite kind! "coal" rice krispie treats-- just follow the package instructions and add black food coloring to the melted marshmallow then shape into odd lumps and viola! edible coal. It was a fun filled learning day; just not the one we had planned. those days when things do not go according to plan often turn out to be some of the best days ever! Yep, I've learned that too!